This is a 7x5 card printed on heavy white matte stock with pigment inks. The card includes an envelope and is enclosed in a cello sleeve. 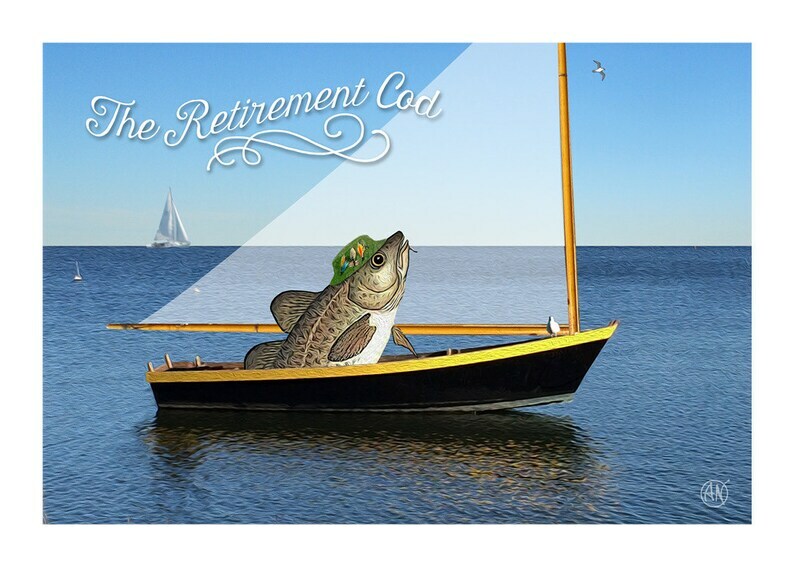 There is another retirement cod in the shop that is set on a golf course overlooking the ocean. This is for the non-golfers. Illustration copyright © 2014 by Andrew Newman. All rights reserved.